The band had just wrapped up four nights in Florida before heading to North Carolina and Virginia when I spoke to Leo Moran. The band will land in New York for a sold out Saturday, March 10 gig, with a few tickets still available here for the March 16 show at Irving Plaza (other dates in the tristate area below!). All in support of their seventh studio album, The Further Adventures of the Saw Doctors. When you start out to make a record, what’s the process for you and (co-founding member) Davey Carton? We work mostly in Davey’s house, just hanging around and drinking tea and watching stuff on YouTube. We get together and fire around the ideas. We have some lyrics hanging around, we have some tunes hanging around, and we try to match them up and marry them. It’s a bit like making a jigsaw. And we end up with enough to go into the studio and start recording. The next challenge when we go home in April is to get a new album on the go. How did you and Davey Carton meet? In 1980, he was in a band that I liked, I was their biggest fan, Blaze X. Kind of punky pop music. So I was a fan and did a bit of work for them. When they broke up there were all these songs hanging around that deserved to be heard by a few people. So we started writing songs. One of the first we wrote was “It Won’t Be Tonight.” That’s how it all really started really, just writing songs. “I Useta Lover” was a Blaze X song originally–the chorus remained and we wrote different verses. A natural progression. It went Number 1 for 9 weeks. I don’t think we sat down to write any particular kind of songs. We just started writing them and what comes out, comes out. I don’t think we had any conscious feeling. You keep writing songs and you hope people like them. Tell me about the title for the newest album, The Further Adventures of the Saw Doctors. Seems appropriate, as many of your songs unfold with mini-stories in each. Where did this title come from? When you first put on an album, it takes you to places around the world that you may not get to, so natural enough to say, “here’s the further adventures.” A friend drew the cartoons and came up with the concept [art for the cover]. Then he did the whole comic book with stories of us. People love comics as a part of childhood. Amazing how it captured people’s imagination. You just leave them around and people pick them up and want to pass them around. We have even had people take editions of the comic and take their picture reading it around the world, then sending them to Facebook. 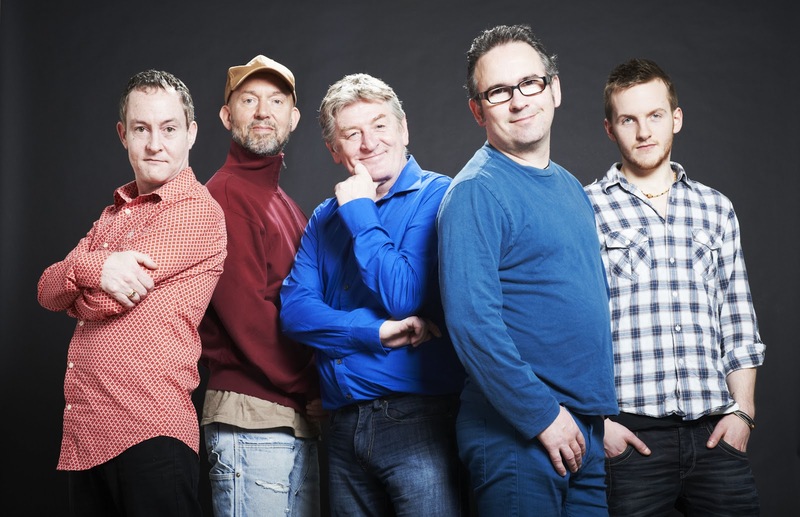 The Saw Doctors have their biggest U.S. tour coming up, with 25 dates total. What city are you looking forward to most? You never know where you’ll have a great night. In years gone by we looked forward to the big shows, but its not always those that are the best ones. Now we take it as it comes. In each place, I like to go and find something nice to eat and sit and have a drink, kind of simple, unless I am going to go to a museum or do something more cultural. How was the reception in Florida? It was lovely, a really nice show. We have a few strongholds of loyal fans everywhere we go. But a few people travel down from all over for an excuse to come to Florida. We met people form Atlanta, Cleveland, Chicago. All kinds of a mixture of Irish and Irish Americans. Is there a difference between American audiences and audiences at home? Not really, they’re very similar, people are very much the same the world over. The American audiences come in bit earlier, they are a bit more diligent. They don’t congregate around the bar. 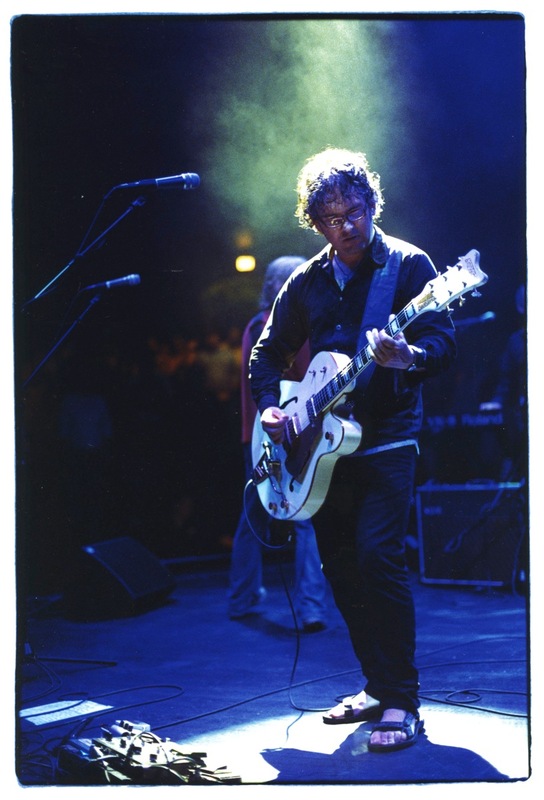 The Saw Doctors are known for your live shows. How much do you tour in a year? We do about 100 shows a year and it takes about five months to do them. Sometimes we do some recording and little things together during that time. Like recording the recent single, “Downtown,” with Petula Clark? What was that like? Very exciting, we met her in a studio in London and only had one evening to get the song figured out and recorded. Exciting and scary at the same time. The Saw Doctors play NYC on Mar. 10 and Mar. 16; tristate dates include Asbury Park on the 15, Atlantic City on the 17th, and Ridgefield, CT on the 18th. For more info and tickets go to their website.